If she feared blowback from speaking frankly about her experiences. The skill she tried that Marta told her to never to do again. The circumstances surrounding her injuries and multiple surgeries. The post-Olympic tour conditions and their effects on her health. She answers fans suspicions that her injuries are due to poor nutrition. Some fans claim that AOGC break gymnasts, her thoughts. Did the advice she received from her coaches contribute to her injuries? How she dealt with self identity as she struggled to stay healthy. Discusses the role of humility and insecurity through the Olympic selection process. Does she think the men’s team should be more like the women’s program in order to be more successful? Dealing with criticism on social media. She describes her personal experiences as an elite gymnast, and their influence on changes she would like to see made at the national team level. Did she really have to hire bodyguards after the Olympics? Who does she credit with teaching her that amazing vault technique: her second coach, Howie Liang at Gym-Max or her Olympic coach, Artur Akopyan at All Olympia Gymnastics Center (AOGC)? Why did she go overtime in 2013 at the Antwerp World Championships on floor? Fill your emotional chalk bucket! Positive Coaching Alliance is a national non-profit developing “Better Athletes, Better People” by working to provide athletes a positive, character-building youth sports experience. Check out their free resources and courses. There are even trainings specifically for gymnastics. US Olympic Committee SafeSport: Learn about the dangers of emotional misconduct in sports. Definitions and model policies to prevent emotional and verbally abusive coaching. Dr. Alan Goldberg’s article on Coaching Abuse. Sports phycologist and diving Olympian, Dr. Megan Neyer at Neyer Performance Strategies offers therapy and training for gymnasts and gymnastics schools. Treatment centers for athletes with eating disorders EDRS or McCallum Place. We are having our very first design contest, and your art could be Gymcastic’s newest t-shirt. Submit your best gymnastics themed art to be made into some sweet swag. Grand Prize (x2 Winners): Your design featured on our page, your artwork on the bodies of gymnerds everywhere, and a free t shirt with your design! 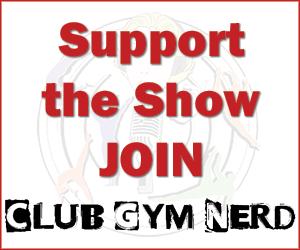 Club Gym Nerd is our way of saying thank you for helping us pay the bills! GymCastic members are automatically entered to win 6 awesomely gym nerdy prizes per year and get lots of perks like being able to preview this week’s big interview with McKayla Maroney. 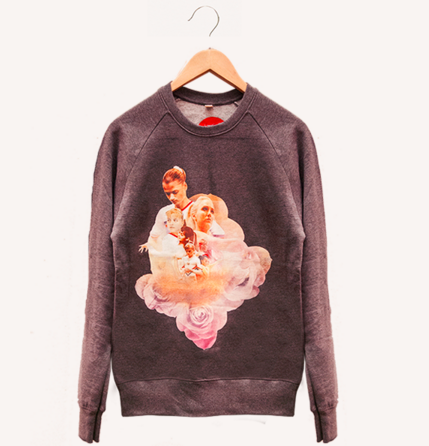 This month, one lucky member will win the exclusive, sold-out, Cloud & Victory Legends sweater below. Get one of our awesome shirts here. just watched the interview. wow. I had no idea of what she had to go through. In fact everything makes sense over the past few years with McKayla. I think it\’s amazing how positive she seems considering she was abused for so long. And yes, it definitely was abuse she was put through. Physical, mental and emotional abuse. I realize that the most elusive dreams require the most intense work but to be afraid to speak up with broken and fractured bones, that\’s horrific. McKayla is an incredible inspiration for young women and girls in not just what she has accomplished but in what she has learned and is talking about from her experiences while trying to achieve her goals. Personally, I would have advised her to get out and get help putting her body back together but that she did finally get help and yet still tried to continue competing is what I find so inspirational. Amazing interview aside, is no one else sad for Kyla Ross announcing her retierment from elite gymnastics hours before Maroney? Talk about overshadow…. Jessica–thanks for the fantastic interview. I\’ve been laughing my head off and loving the Wednesday podcast for awhile now. The interview was soooo cool. Inspired me to join Club Gym Nerd because I want this gymnastics love to keep going! Mckayla has grown into an impressive young lady. I was really surprised at how mature she was here and I agree with everything she said. I really wish her much success. The world of gymnastics need more people like her. Just watched the podcast! It was amazing! I\’m so proud of McKayla for putting it all out there! I wish her a lot of luck and love in getting her life together and doing what she wants to do! God bless her!!! I listened to this when it was 1st posted and again yesterday. It’s so different listening/watching it after she revealed her sexual abuse. I truly hope she gets the help she needs and remains the positive person she seems to be. I stand with you.